It all started with my Grandmother…and my Parents who have always encouraged me to follow my dreams. My Grandmother with Student 1983. 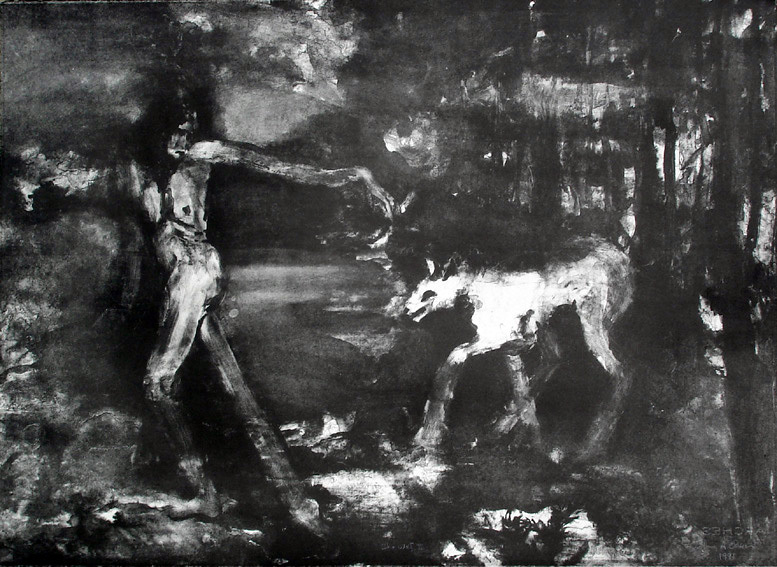 I graduated in Fine Arts – Painting – with an emphasis in Drawing and Printmaking from San Francisco State University in 1992. I live in Madrid, Spain; although I grew up in San Diego, California USA. I’ve been painting in the Retiro Park located in Madrid, Spain on- and- off since 1994 and previously in the 80’s during the creative movement here in Madrid called ‘La Movida Madrileña’. My Grandmother, Maria de Laguno Y Zuzaurregui, an official copyist at the Museum of Prado in Madrid Spain, signed me up as a copyist at the Prado Museum to study the Masters. 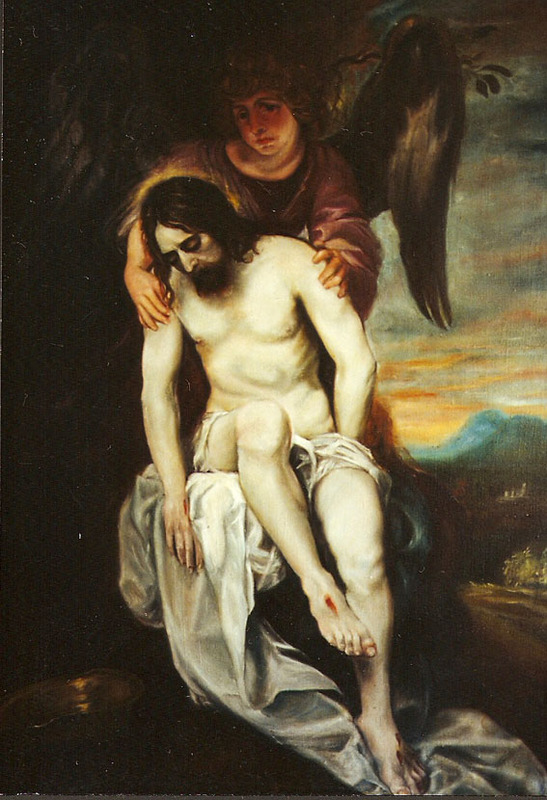 The first painting I copied was Alonso Cano’s Jesus sustained by an Angel. Jésus Sostenido por un Àngel. I chose to copy Jesus Sustained by an Angel because of the optical greys in the skin and the emotional content. 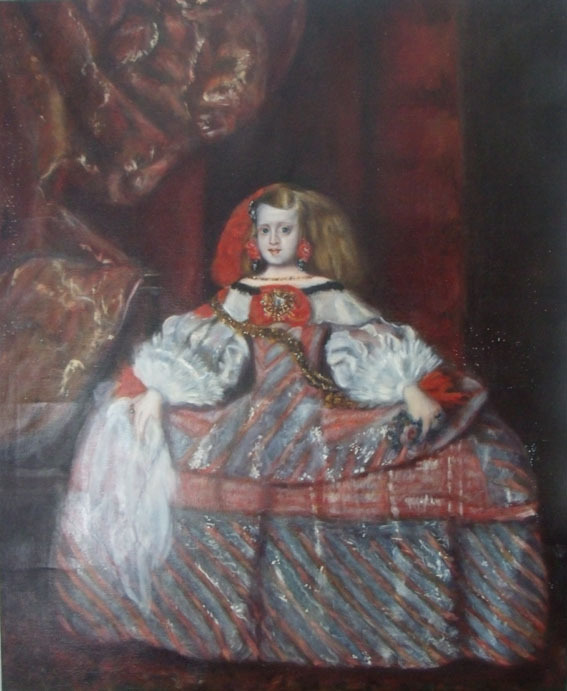 Reproduction of La Infanta Doña Margarita de Austria by Diego Velázquez; painted by Victoria Olson O’Donnell 1983. Diego Velázquez is another of my favorite painters. 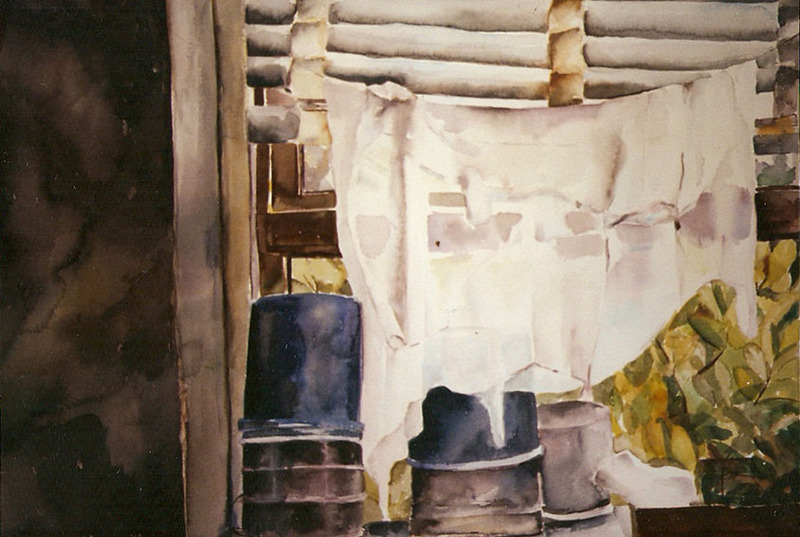 I chose this painting to learn how he used optical greys and transparencies. 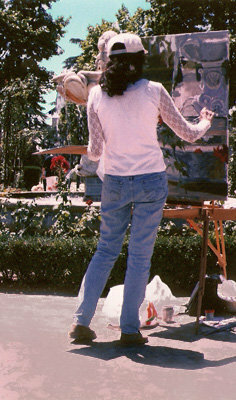 At the same time, I was studying at Taller Villalar Centro Superior de Artes Plasticas. Taller Villalar gave me the opportunity to volunteer at the Exposición ARCO in Madrid as a translator for the Taller Villalar Gallery during the peak of the Movida Madrileña. 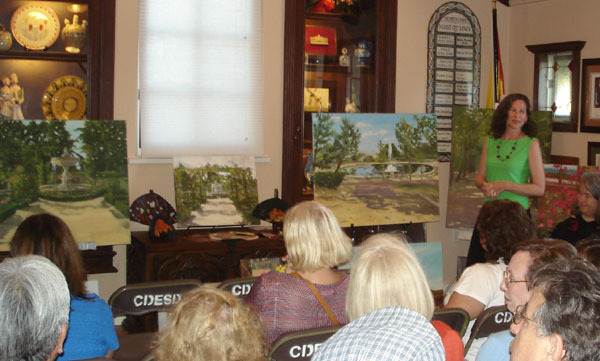 I had a unique experience with this small group of artists. At this point, I stopped copying paintings at the Museum of Prado. 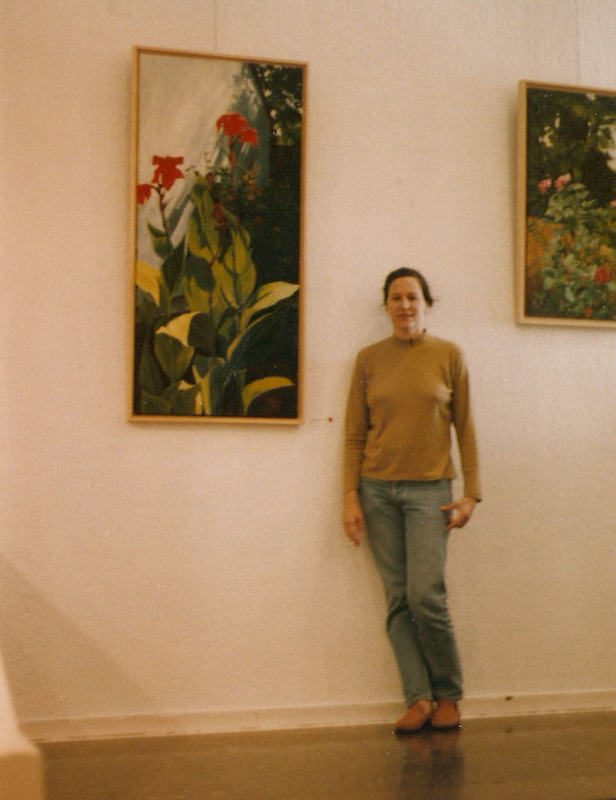 Class picture at the Taller Villalar Superior Art Center in Madrid, Spain 1983. I’m the one on the far left in the picture, behind the tiger-like guy, Jose, the etching instructor. In 1985 I returned to San Diego, California and enrolled at Grossmont college. Here I was in Mr. Lum’s class. I must say, he influenced me more than anyone else. 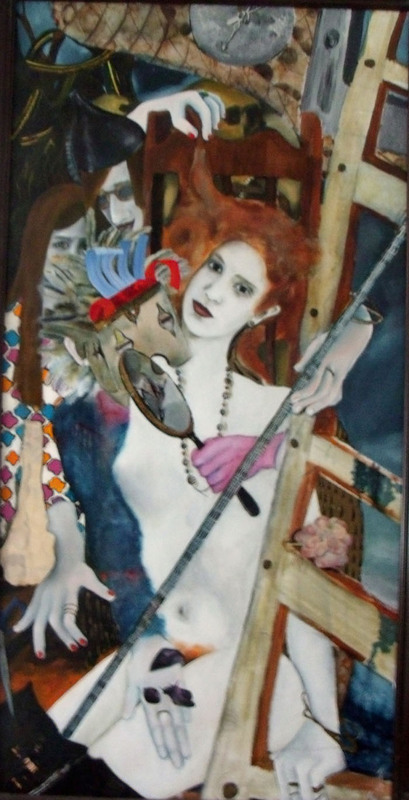 In 1989, I transferred to San Diego State University and painted this very personal painting below. 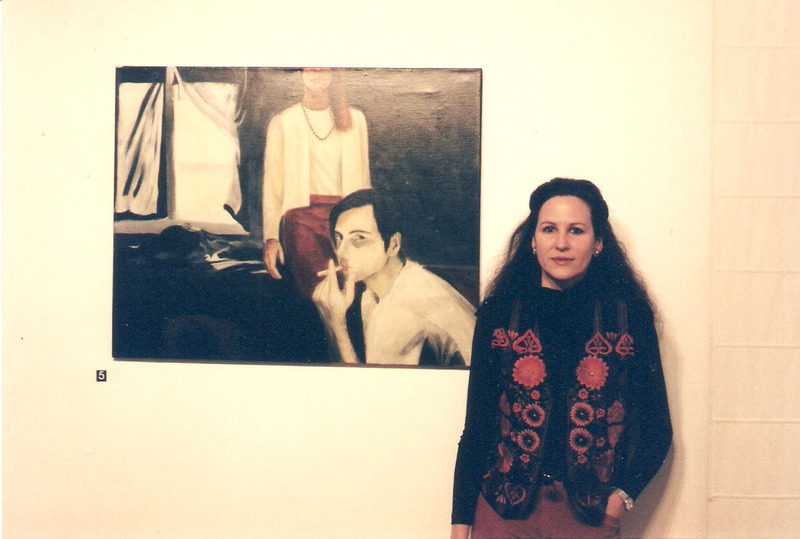 award in a large group show. The juror, Deloss Mc Graw and I at the San Diego Art Institute Midsummer Award Show 1990. I transferred to San Francisco State University in 1990. I found myself lucky enough to be able to study with Robert Bechtle, Richard Mclean and Barbara Foster and many others at this marvelous state university. The watercolor below is of the Lithography Department. I made this for Robert Bechtle’s class. 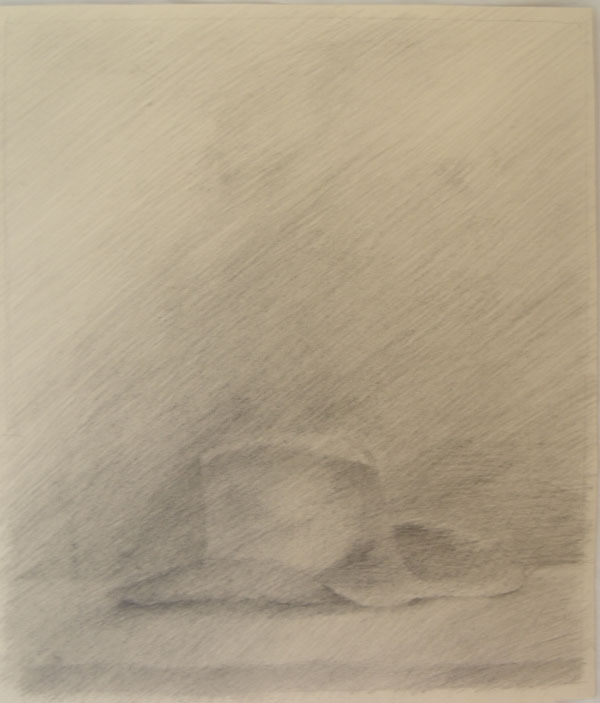 This little drawing is from Richard McClean’s drawing class. I made this printin Barbara Foster’s Lithography class. This was a huge lime stone. 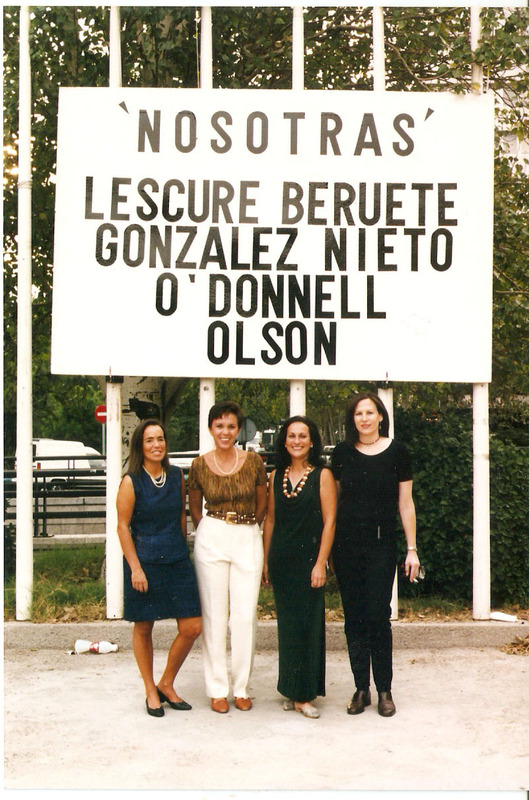 Soon after graduating from San Francisco State University in 1992, I returned to Madrid, Spain. 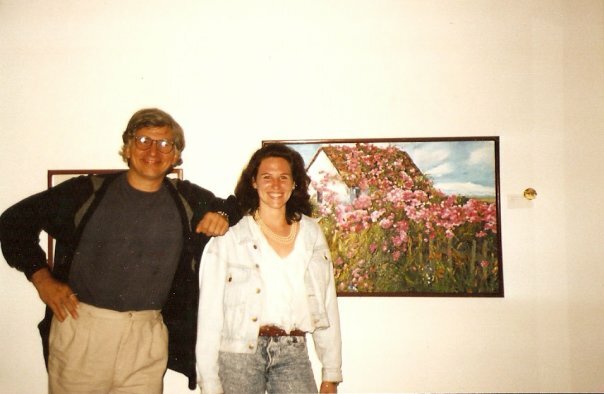 Since then, I’ve had a few art exhibitions in different Cities in Spain as well as exhibiting in San Diego, California. 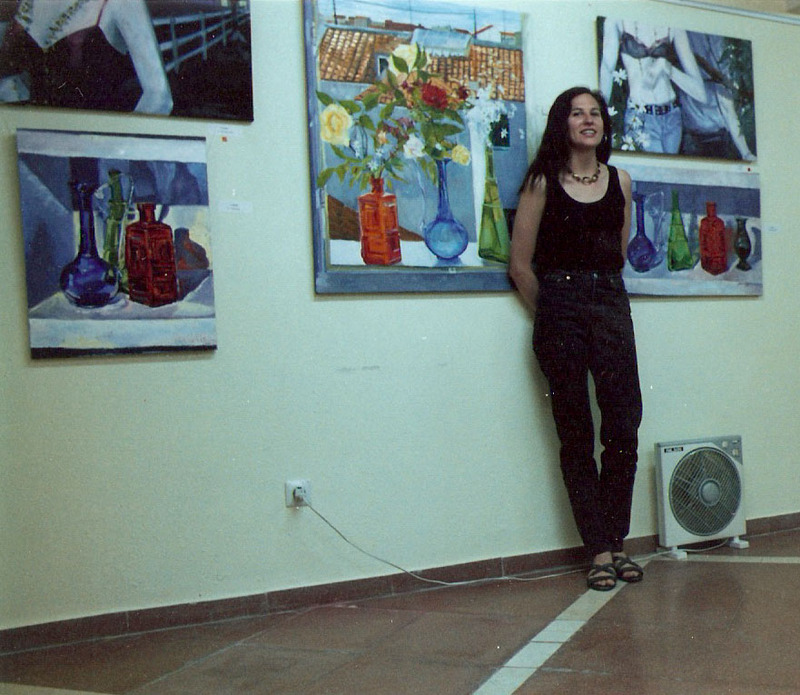 My first exhibition when I returned to Madrid, Spain 1996. As you can see I like painting glass and my own personal stuff. Below is from a show in Lugo Spain. Sala Almirante in Lugo, Spain 1997. 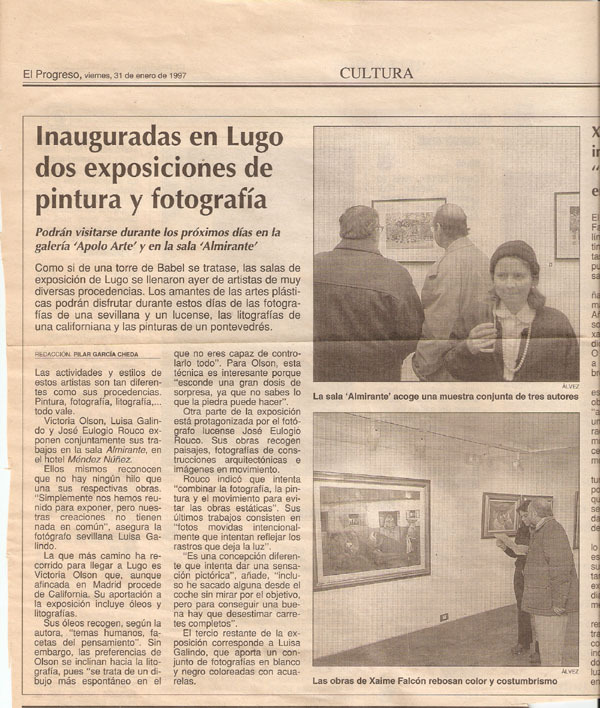 A newspaper clipping of an exhibition I had in Lugo, Spain. I showed Lithography Prints. 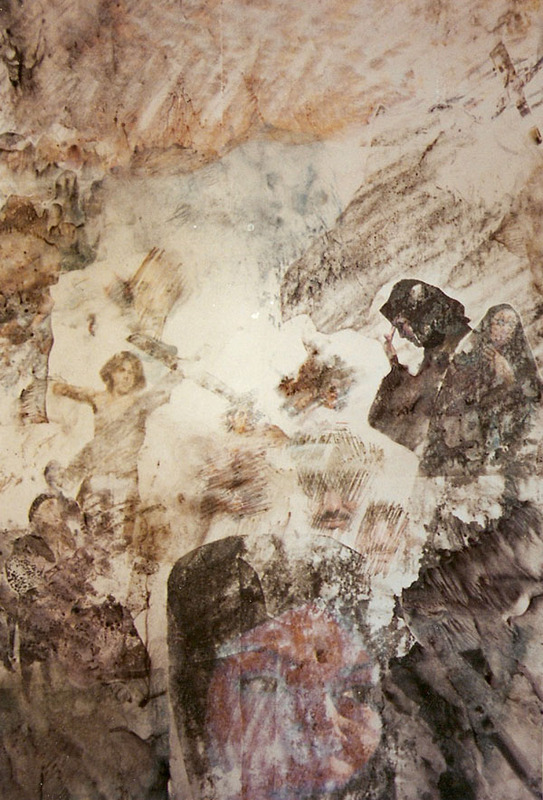 Exhibition at Palacio de Congresos Y Exposiciones de Madrid, Sala Miro 1998. A clipping from the popular magazine called Hello! 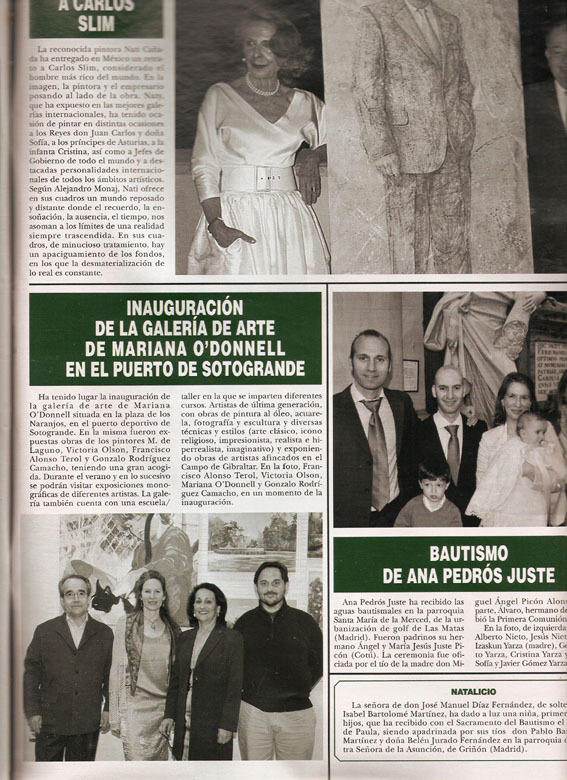 Inauguration at the Mariana O’Donnell Gallery in el Puerto de Sotogrande, Spain April 2012. Although you can still find me painting plein air around in Madrid, Nowdays you can find me at the Plaza de los Pintores in Madrid every Sunday from 10am to 2pm. The Plaza de los Pintores is located in the heart of Madrid at Plaza de Conde de Barajas. I am studying the bible for a bit and I realized that our collective view of separation from Mind actually began not with Adam but with Eve’s dream. So I looked up images and found your painting which for me exemplifies the concept that joy, lasting joy that is, could be found in the material world. Hence Eve’s Dream.. And of course, in the lands of space and time there is nothing that is permanent. In my view, if we can wake up from the dream that we are separated from Infinite Love, we can find a permanent joy. Your work is exceptional and thank you for sharing your talents. All I can say is; Very Inspiring Indeed! Peace. Thanks a lot Jimbro! I had to read this a few times to get the full meaning. I like what you say. Eve’s Dream is Eve dreaming about the sensation after biting into the apple before she even does it. What marvellous work! Bravo. I’ll look forward to what comes next. Thank you Frank Prem for those kind words! 🙂 I’ll try to keep this blog active and updated. It is a pleasure to meet you. I love your work, especially the romantic pieces. If I may ask, what connection might you have to Minnesota? Hi Mr. Modigliani,Thank you for looking at my site. My family lives in Minnesota. I was visiting in 2013, so I painted the beautiful farm land. I was looking at your new art studio; congratulations! 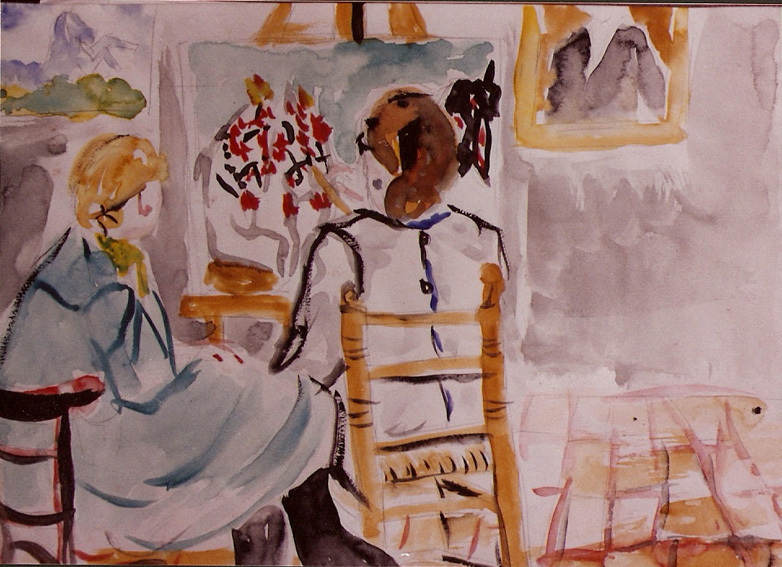 Hi Mr. Modigliani, art making is a wonderful experience. I think the reason I like it so much is because I never know what it’s going to look in the end til it’s finished. Figure has always been one of my favorites. I missed this comment Victoria and only discovered it when I came back here to say hello to you. I’m happy to see that you are drawing figure. Nice! Great! I’ll have to see the Venetian cast work.